Dr. Hedayati specializes in geriatric medicine, primary care and medical student/residents education. Dr. Hedayati likes to spend time with family and friends, engage in outdoor activities and travel. She speaks Farsi, Turkish and German. She´s get us and she kind and understanding. I was first seen by a first-year resident and the attending did not redo the interview with me. After reading the interns notes, it was clear that he did not understand my concerns or what medications I am currently taking. They suggested that I change my current medications (even tho they are working very well for me). It was a horrible experience and a waste of time. After explaining to both the attending and intern that I did not want to change my medications, felt I was being told what to do, and that I don´t feel it was a collaborative relationship, they both insisted that I change my medications. I felt dismissed. This doctor is the best Primary Care doctor I have had at Virginia Mason. I have total confidence in her advice and know that I will get the best treatment when I see her. She is extremely kind, listens to what you have to say, and makes certain that you understand what she is telling you. 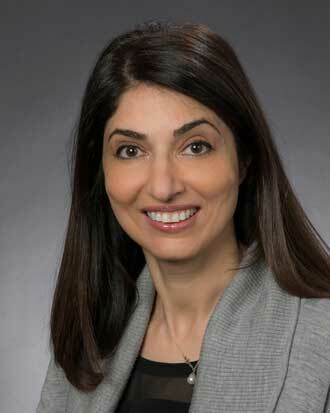 Dr. Hedayati does a great job of communicating and spends a generous amount of time discussing health topics. very happy with my appointment. Hedayati MD, Soheila and staff are great. I got fed up with Swedish, etc after my initial provider GHC ended their earlier affiliation with VM and I had to go to Swedish. Well, after a few years, I am back with VM and have never looked back. She spent more time that I had expected, listened well, and was very professional. my Doctor was fantastic! she was great! very friendly and caring. Not my regular health care provider. Don´t think much if any time was spent looking at past files of mine before seeing me. I appreciate the care provided and the concern of Dr. Hedayati. I would highly recommend her to anyone seeking a referral. Dr Hedayati was so great. It was my first time seeing her as my primary doctor is out on leave. She was very personable, interested, open and I felt very much at ease. She listened and really helped me through the 3 areas of concern. We have a path forward and a follow up in 6 weeks. I was very impressed by her! Dr. Hedayati is the BEST EVER & I pray she outlives me & never leaves V/M!!! Dr. Hedayati was genuinely compassionate and curious to learn about my health issues as well as learn about my circumstances to put my health in my context. I would highly recommend her. She was thorough, kind, and easy to understand. Veryy appreciative of urgent appointment made available next day and extremely impressed with Dr, Hedayati. Dr. Hedayati is awesome. She´s succinct, but not rushed, and it translates into a very efficient visit that covers almost everything. Thank you! Great Doctor, I will definitely continue going back to see her. It´s so great having a doctor again, and Dr. Hedayati was more than I could have hoped for. It really was a pleasure to meet Dr. Hedayati. She was thoughtful, efficient & willing to track down causes for a cough that has been lingering for months. My only issue would be to note that, while I understand the importance of marks this..., I felt it interfered with the doctor/patient connection. I requested a BMP blood draw due to some family history and previous health issues, which the doctor did not address. Professional. Thorough. Caring. Attentive. Consistent. fantastic providers. pcp and cardiologist are kind and they listen. Doctor was courteous but a bit dismissive of one problem otherwise perfect. Dr. Hedayati is one of the best doctors I have ever had. Her knowledge & care for me is wonderful. She is outstanding & I´m secure in her care. I have recommended her! Dr. Hedayati listens, seems to fine-tuned when doing so, demonstrates an understanding of what is presented, and sorts options with me... She also facilitates connecting me with related resourced. Her care on my behalf are far beyond any healthcare experience I´ve had previously! 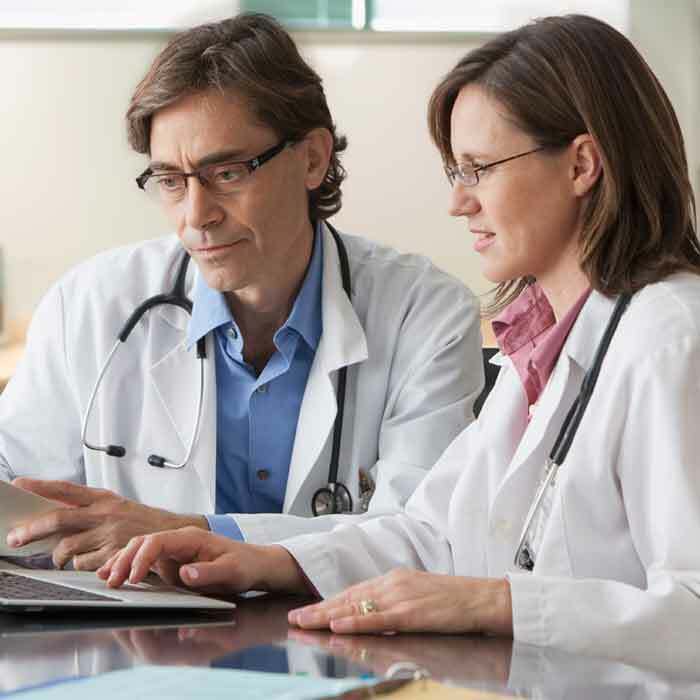 Feel great confidence in Dr. H.
Dr. Hedyati is very personable, yet professional and knowledgeable and takes the time to explain things and inquire about what is going on. She was very helpful, quick and thorough. I would see her again! Dr Hedayati is my new primary care doctor. I am so happy my husband I found her. Definitely leaving visit with the experience that all time would be taken for a successful treatment outcome. This whole appointment was a joke. Nobody took the time to walk me through any results, nobody is addressing the pain or concerns I have. 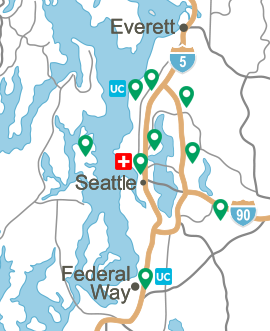 I have family and friends in the medical field, and I also manage a team of new folks to the Seattle area. 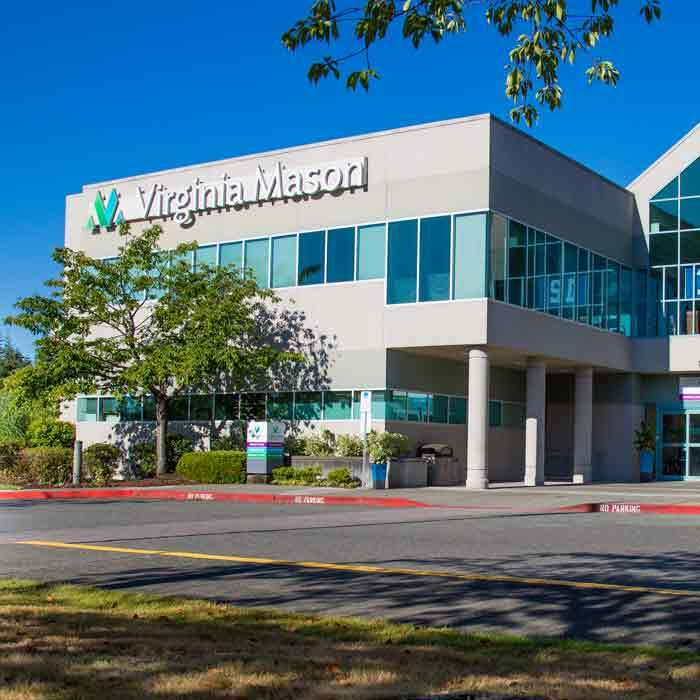 I will be urging them not to come to this physician´s or Virginia Mason in general. It is sad how little care your doctors show. I came in feeling very bad and tried to explain the issues to the person, she´s not my regular dr... She kept saying I was stressed. She did not hear me when I said I was in pain and I had to ask for medication and for a follow-up with a gyno. I told them I had chills, they didn´t take my temperature, but asked me what my temp was like I´m supposed to know?? Even if she thought I was stressed, she didn´t offer any way to help my stress, no medication or mental health follow-up of any kind. If someone is stressed or in actual pain, they are not typically in a good place to guide their own care. I came to the dr for help and they treated me with the least amount of care. It was frustrating, to say the least. I will not go back to that dr ever again. This is the second time I´ve come to her and she insisted that my ailment was stress, but offered nothing to help the stress. I am new to Virginia Mason and my experience has been excellent. The Doc is great. VM should never look back on her joining the VM team. Dr. H is always friendly and professional. She has an unique ability to immediately instill a sense trust. I was so impressed by Dr. Hedayati. This was my first experience with Virginia Mason and it was excellent. I was just in for a simple test but everyone treated me nicely. this is the second time I saw Dr. Hedayati. She is very friendly; and really engaged in a conversation about what "we" need to do for my care. I love the fact that her schedule is so available that I can get an appointment regardless if she is not my PCP. I´ve been searching for a new doctor. Dr. Hedayati asked me all the right questions and I was very comfortable with her in our discussion concerning my health. I really appreciate Dr Hedayati as my care provider. She is always engaging and I feel comfortable discussing my issues with her. Upon examining my foot, the doctor determined that I needed to be seen by a podiatrist, so didn´t prescribe any medication or follow-up care. The staff helped arrange for an appointment for me later in the day with the doctor in the Sports Medicine clinic. Doctor H was very kind and empathetic. Asked many good questions. Only constructive comment is at times had a little challenge understanding due to her accent, and probably my hearing challenge. A few times I asked her to repeat. Dr. Hedayati is wonderful. Caring, concerned & very professional. Dr. Hedayati is patient with my elderly dad, very thorough and caring. answers questions thoughtfully and I know has take additional time to make sure our questions are answered, and listens carefully to symptoms so she can make sure she´s treating the "whole." Very happy we switched to her (he was with Mt. Vernon doctor). best doctor I´ve ever had. she is a jewel! I am soooo glad that I have another awesome physician I can see besides Dr.Duze! Dr. Hediyati was very thorough with examination, caring and very professional. I felt that I was not rushed and she listened to my concerns. 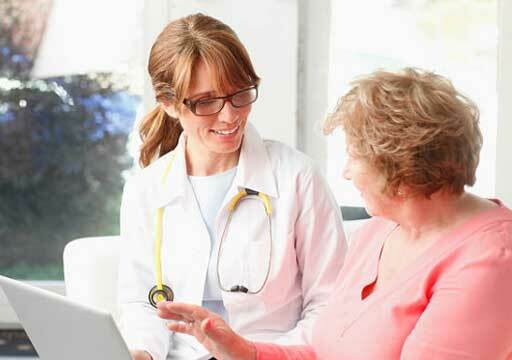 she called personally to go over the results of lab tests explaining the details. she also made follow up appointments. I felt that I came to the right place to get treated. She is my favorite doctor. Dr. Hedayati is outstanding = I highly recommend her to everyone searching for a primary care MD. In addition to presenting a very professional, but friendly image, she listens, explains issues in an understandable manner, and has helped me with the paperwork necessary to for me keep my commercial pilot license/FAA medical certificate valid and stay employed. She was very kind and compassionate. I appreciate her taking the time to listen to my concerns. I would recommend her to family and friends. Dr Hedayati was open, interested in my concerns and excellent in her explanations. I appreciated the time she spent with me and feel I am in good hands. The best...with her I am overcoming lifelong fears of approaching medical care. enjoyed meeting Dr Hedayati. She was calm, funny, gave me good advice. I am glad to be a patient of hers! I really, really like Dr. Hedayati. I just moved & had to find a new primary care physician & was a bit wary but she is fantastic. I´m very happy & will continue to see her. She´s my gal. I would, and have, recommended Dr Hedayati to others. Dr. Hedayati is the model of a caring professional. She is kind, attentive, professional and patient-focused. Doctor felt dismissive of the issue and disbelieving when I explained my pain tolerance. Excellent care and listened to all my concerns! thoughtful, took time, positive attitude. good experience. Havent´ been through enough visits and treatment to fully analyze. Dr. Hedayati an I connected immediately. She is extremely professional but also has a lovely personality. . She explained everything in a way that I could easily follow and ask follow-up questions. She is excellent! I can highly recommend her. dr hedayati is an incredible care provider. she did not rush me and listened to me. her exam was very good. she even brought up photos on the computer to further explain how the knee functions. she scheduled me for X-rays and arranged an appointment with sports medicine clinic for next day. now get this, she called me to explain the results of my E rays and followed up with an email to my VM portal. I´ve never experienced a Dr calling me with test results. a new a very positive experience for me at VM. she is a jewel. i trust her to the max! I have many issues and sometimes there really are NO answers. it really is quite okay to say "I really don´t know". I really appreciate that she took the time to study things more, rather than take an easy way out and give a half-baked answer. I just would like to know if the answer is not clear and more research is needed. Dr. Hediyadi was thorough and a great communicator. I am happy to have her as a primary care physician! 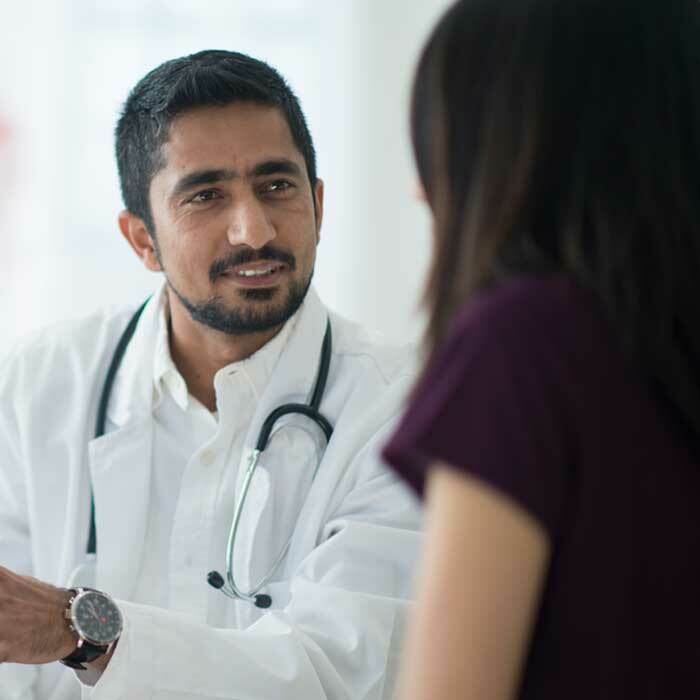 Dr. Hedayati is an excellent primary care physician - she spent considerable time with me in going over diagnosis and treatment and underneath it all I could sense a genuinely compassionate and caring person. Generally I am not keen on hospitals/clinics, but Dr. Hedayati gives me a great sense of ease and I am very happy with her care as primary physician - I´m lucky to have found her! I am very pleased with Dr Hedeyati. Sie is sehr gut. I appreciate her concerns and her advise.